The Early Childhood Fund has been created by Social Innovation Fund Ireland (SIFI) in partnership with the Department of Rural and Community Development. 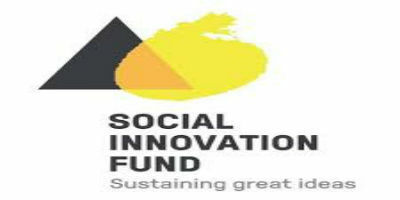 The Department of Rural and Community Development provides match funding for all philanthropic funds raised by Social Innovation Fund Ireland, via the Dormant Accounts Fund. Through the Early Childhood Fund, we are aiming to support the families in Ireland who need the most help in achieving better outcomes for their children. As part of the application requirements, we are asking applicants to demonstrate that they have secured private or philanthropic funding for the duration of this fund. If the applicant is successful, we will match their donation by providing a 50% uplift on their funds, as well as delivering other supports such as training,impact measurement and capacity building. The goal of the fund is to provide critical support to projects and services focused on increasing the health and wellbeing (physical and mental), social and emotional skills, cognitive development and learning outcomes of children, from pregnancy to six years of age, with the goal of reduced inequalities, improved childhood and lifelong outcomes. As suggested by the most up to date evidence, priority will be given to projects focused on prevention and early intervention approaches, targeting children and/or parents/guardians. The Early Childhood Fund aims to have wider impact and will contribute to Ireland’s achievement of the Sustainable Development Goals. WHAT DOES THE early childhood FUND OFFER?